Pazzaglia has contributed her pressure cooker recipes and photographs to pressure cooker manufacturers for use in promotional material and recipe booklets, magazines, newspapers and websites. She has made presentations and demonstrations in partnership with pressure cooker manufacturers, in Germany, Italy, Luxemburg, Canada and numerous U.S. cities including Seattle, San Francisco and New York. To ask Laura Pazzaglia questions, please sign up. 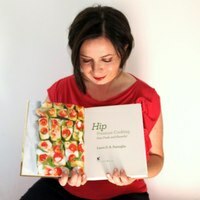 The Everything Healthy Pressure Cooker Cookbook: Includes Eggplant Caponata, Butternut Squash and Ginger Soup, Italian Herb and Lemon Chicken, Tomato Risotto, Fresh Figs Poached in Wine...and hundreds more! 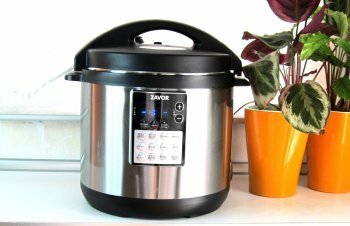 The post PREVIEW: Zavor’s LUX Multicooker – look familiar? appeared first on hip pressure cooking. We’d love your help. Let us know what’s wrong with this preview of Hip Pressure Cooking by Laura Pazzaglia. "I received Hip Pressure Cooking as part of a Goodreads giveaway.
" THANK YOU to those of you who have taken the time to explain to this newcomer how GoodReads works - or not - and how other people may use it!